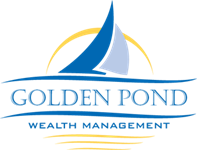 Brian is the founder and managing principal of Golden Pond Wealth Management. A graduate of Thomas College, he has been a financial adviser since 1989 and has been a CFP®(Certified Financial PlannerTM) since 1996. Brian specializes in retirement planning and comprehensive wealth management for affluent families and individuals and investment/endowment management services for many of Central Maine’s non-profit institutions. He was named the Mid-Maine Chamber of Commerce Business Person of the Year in 2006* and has been a member of LPL’s Chairman’s council since 2014**. He currently serves on the Board of Trustees of Thomas College and is Vice President of the Founders Club at the Alfond Youth Center. Brian has previously served on the boards of the Mid Maine Chamber of Commerce, the Belgrade Lakes Association, the Belgrade Lakes Business Group, the Inland Hospital Foundation, the USA Field Hockey Advisory Club Task Force and is the founder and retired coach of the Maine Majestix Field Hockey Club. Brian is a reqular contributor to the Maine Seniors Magazine. Brian lives on McGrath Pond in Belgrade with his wife Amy and together they have three children Katie, Kristy and Jack. 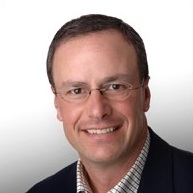 Brian enjoys boating, waterskiing and entertaining friends and family at the lake in the summer and skiing, snowmobiling and snowshoeing at their Sugarloaf camp in the winter. *An award based on membership and contributions to the community and free enterprise system. **An award based on annual production ranking which is reserved for the top 2% of LPL Financials 14,300 Financial Advisers.